The historic Cape Santiago Lighthouse in Calatagan. Image sent in by Jigger Gilera, MD. This is the eighth article of a series that seeks to acquaint modern day readers with conditions in the different towns of the Province of Batangas late in the nineteenth century. Our focus for this article is the western Batangas town of Calatagan, which is at the southern end of a peninsula facing the West Philippine Sea. The information contained in this article is taken from a book written by the Spanish historian and former official Manuel Sastron. The book, entitled “Batangas y su Provincia1” (Batangas and Its Province), was published in 1895. Calatagan having been one of Batangas’ smaller communities even back in the late nineteenth century, understandably Satron’s chapter on it was also one of the shorter ones. There is a bit of a curiosity, it has to be said, in that Sastron had included Calatagan among Batangas’ twenty-two towns in the late nineteenth century. This is because it did not officially become a municipality until 1912 and was still part of Balayan when Sastron wrote his book. At any rate, Sastron began by stating that Calatagan was Batangas’ smallest town. He wrote that it was located roughly 70 kilometers from the capital town of Batangas and was difficult to reach because of its location. In the present day, the distinction of being the province’s smallest town belongs to San Nicolas, which was formerly part of Taal. Calatagan, Sastron wrote, was bordered to the north by Lian; to the east and near its center by Balayan; and to the south and west by the China Sea, called the West Philippine Sea in the present day. It had a population of 2,239 inhabitants. The town had two ports at Balongbato and Calabozo which offered great protection to ships especially during the height of the southwest monsoon season. No major rivers ran through Calatagan, but there were two streams called Lugsupin and Hermit. The latter served as the boundary between it and the neighboring town of Lian. Most of Calatagan’s land was planted to sugarcane. Some lands in the hills, having been cleared by caingin2 (or kaingin, a variant spelling), had been planted to rice. Buri or corypha palms also grew abundantly in Calatagan, where the land, according to Sastron, was very fertile. Most of Calatagan’s lands, especially those planted to sugarcane, were owned by the wealthy landowner Don Pedro Roxas, Sastron wrote. It was Roxas who brought modern knowhow to agriculture in the town, bringing in steam engines for use in the manufacture of sugar from the harvested canes. Previously, Calatagan was not a parish in itself. Instead, the spiritual needs of its inhabitants were administered from Balayan. However, Sastron said, it would soon have a priest of its own. There were three roads that ran through Calatagan. 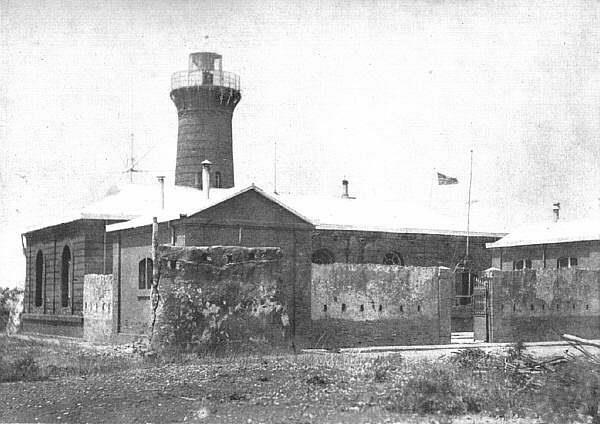 One led to Punta Santiago, where there was a lighthouse. This road was seldom used. Another road led to Balayan; while the third led to Lian. These roads were all roughly paved and had four bridges that were often in poor condition and needed to be repaired. The most prominent building in the house, not counting the home of the Roxas family, was a court house built with bricks. Sugar was Calatagan’s primary export, and this was shipped out of the town to other destinations at the aforementioned ports. Sastron concluded his chapter on Calatagan by saying that the climate in the town was mild, its inhabitants healthy and were of mild character as well and observed simple customs. 2 Caingin or kaingin was the way forests were cleared by farmers by burning down trees and plants so that land could be used for cultivation.